Keeping Menston & Guiseley separate. Join campaign walk on Sunday! If the Ings fields between Menston and Guiseley are developed then Menston and Guiseley will have merged! Menston and Guiseley Greenbelt Protection Group are having a day of action rally, walking the site under threat, which is just off the A65, opposite the BP petrol station. Join them at 12.30pm on Sunday 12 April. Meet where the Mire Beck crosses the road. There will be a banner you cannot miss! However, bring your own banner too to carry on the walk – the more the better. The rally is organised together with WARD (Wharfedale & Airedale Review Development). 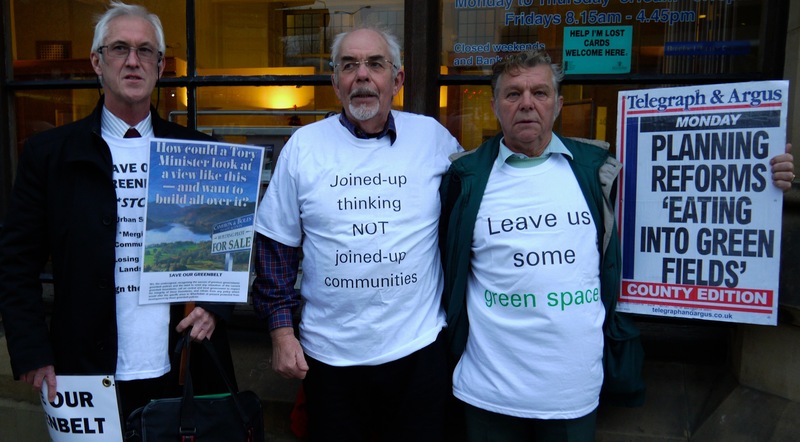 On this day Community Voice on Planning are preparing a National day of action to protest at the loss of greenbelt between settlements which is leading to urban sprawl and a reduction in social standards across the nation. We in Menston are one of many unique (and we are unique, aren’t we?) communities which are threatened with becoming just part of an urban sprawl. One of the major factors for preserving Green Belt according to Government guidelines is to maintain the distinctiveness of named settlements by keeping the greenbelt buffer between them. Building on the Ing fields, apart from the fact they are Green Belt, will effectively join the two settlements. If they are built on they are gone for good! Let’s show Leeds where the real Menston/Guiseley boundary is and should be preserved as a slice of green between the two settlements. Recently Menston village was represented at the Inspectors examination in public of the Bradford Core Strategy for housing over the coming 15 years and much angst was raised by many communities around Bradford over the planning rules which state that Local Planning Authorities should be seen to cooperate over the development of their core strategies where these impact on neighbouring authorities. 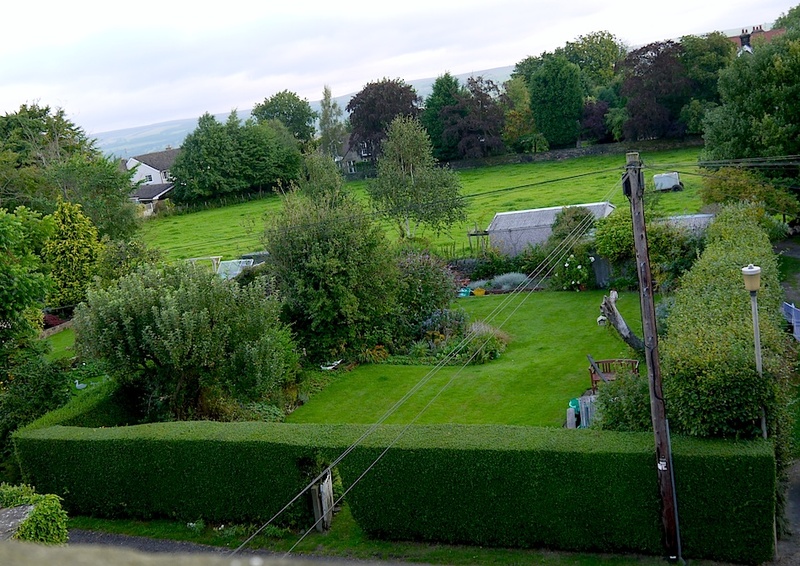 Those present could see the results of no such cooperation as sites are coming forwards for development across both sides of Menston that will result in the settlements of Guiseley and Menston becoming a single sprawl. We may be forced to, once more, become victims of circumstances if the green space between Menston and Guiseley is further eroded and do remember that at the moment, this comes at the end of many years of heavy developments, where no additional communications or social infrastructure have been put in place. The settlement boundaries between Menston and Guiseley need to be highlighted as Leeds’ planners have included Moorland Crescent and Bradford Road, Menston, in the major settlement extending from Guiseley, thus making the Ings Fields look like wonderful infill to them! This is a political boundary not a settlement or geographic boundary. The settlement boundary runs along the back gardens of Moorland Crescent Menston following Mire Beck. Any questions or bright ideas, email Liz Kirkpatrick at mandggpg@gmail.com or phone 01943 875640. 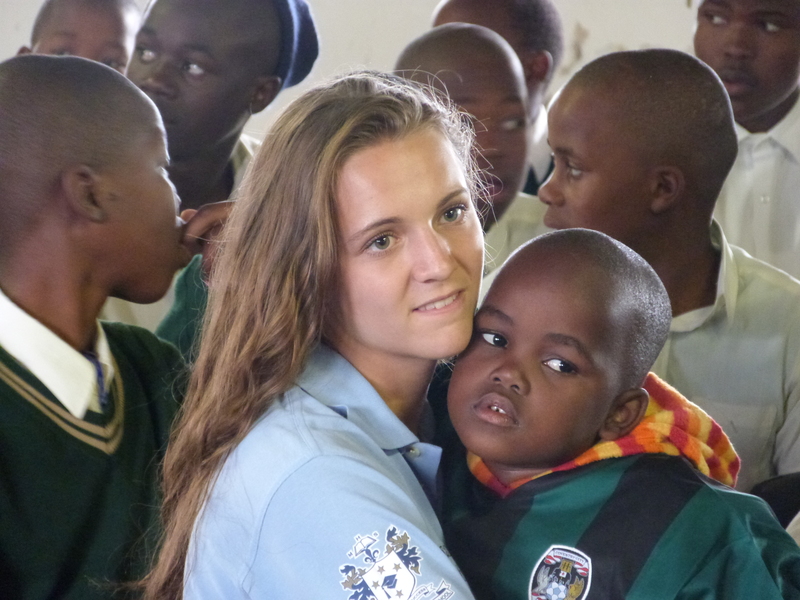 Chloe Tindale, one of two St Mary’s Menston pupils who met Prince William at a Diana Award ‘Inspire Day’, with Zulu children in South Africa earlier this year. Follow the link at the bottom of this post for the full story. Menston villagers have been celebrating one important battle won to keep the character of our lovely Wharfedale village and its surrounding countryside: the plan to erect a gigantic wind turbine behind High Royds, twice the height of the iconic clock tower there, was refused permission. The fight against development on the Derry Hill and Bingley Road sites, which apart from destroying the character of our village would lead to more flooding and increased sewerage flowing down the street, according to the best expert evidence, continues. It is understood that the Parish Council intends to reply to the dreadful letter received from Cllr Warburton, the letter being greeted with disgust and disbelief at the Menston Community Association meeting on Wednesday 4 December. Click here to read the presentation ‘Save our Greenbelt’ given to the full Bradford Council on Tuesday 10 December by Steve Ellams, Chairman of the Menston Community Association. The need to support local shops and businesses was an important topic at the meeting and a suggestion of the need for some kind of campaign was greeted with approval. Parish Cllr Sue Rix said that there was an urgent need for more, and more suitable, notice boards around the village, promoting local business being one function of them; this suggestion was greeted with approval. Among comments from the floor was “Why people pay more for inferior produce when our local greengrocer brings fresh from the market every morning is beyond me”. Another said they were glad to buy meat there, supplied from Burley. A Menston Christmas celebration next year? A suggestion from the floor was that there was a need to set up small working groups to move forward this and other projects proposed, among them a village Christmas celebration event based around better Christmas lights next year. Comments from villagers that “It is really upsetting that I have to go to another village for such an event when we used to have one in Menston” were related from the floor. MCA Chairman Steve Ellams said that there would be a ‘bucket collection’ at next year’s Menston Car Show (note the countdown to it on the right has now reached 4 months!) and funds raised would go towards the Christmas event. Another important battle being mounted is against the closure of the Menston and Burley Children’s Centre, with its magnificent ‘new’ facility behind Menston library. A petition is circulating and available to sign in shops around the village. More inspiring news continues to come out of the excellent high school in the village, St Mary’s, from excellence in sport to meetings with Prince William. Read about it on a page giving more details. As might have been expected, much of the first meeting of the Menston Community Association (MCA) under recently elected Chairman Steve Ellams was given over to discussions about the proposed housing developments, but a suggestion from the floor that the MCA should put projects to involve youth as a top priority during Steve’s four year term of office was greeted with some enthusiasm by those attending. Youth project to introduce older residents to the wonders of computers and internet? A specific project, to involve youngsters in ‘teaching’ older members of the community how to use a computer and internet, is being investigated as a beginning. It is known that when older people who are averse to computers see the wonders of communicating with family far away, on Skype or email, they are often converted and eager to learn how to use the technology. Youngsters are surely the people to show them. The project idea was prompted when it was learned that some funding might be available for such a project. In fact the deadline to make an application is this week – too little time – so an extension is being sought. In any case, if enough young people are interested in it then a way will be found to make it happen. If any youngster between 11 and 19 years would be interested to become involved in this project get in touch with the MCA Chairman Steve Ellams, email s.ellams1@btinternet.com. There is another generation which is not so well catered for in Menston – the 20 to 40 year olds. A start might be made to engage with them with the proposed bi-annual Menston Car Show, the first of which is scheduled for 5 May, the first Bank Holiday, next year. Super cars, rally cars and other high performance vehicles are being added to the classic vehicles we saw at the Jubilee celebrations last year to broaden the appeal. Cllr Dale Smith told the meeting that plans were underway for Menston to mark the 100 years since the start of the First World War. Many different events are proposed throughout the year. We will endeavour to cover each of them as information is made available. There will be a Remembrance Service outside the Kirklands Community Centre, Main Street, on Monday 11 November. It will begin at about 10.45am. Although the ‘official’ Menston website is now working, in a way, it is understood that the possibilities are limited. In this situation a section of this website is being made available to the MCA. So, although the site will generally remain completely independent of any organisations in the village, items appearing under the menu heading ‘Menston Community Assocation’ will in future be supplied by the MCA and be published unaltered. Maybe the first thing to appear with this new arrangement will be the minutes of the meeting of Wednesday of this week. PS. 10 Nov 2013. The MCA section is now ‘active’ and you will find the minutes of last week’s meeting under the MCA menu heading. Click this para to go immediately to it. One person can exert influence on Bradford Planning Department such that the Menston Parish Council receives a ‘recommendation’ that a building should go ahead before village residents most adversely affected have had a chance to put their objections to the Menston Planning Committee. This much became clear at the Parish Council meeting last evening (29 August). If one person can exert such influence, is it any surprise that major housing developers can get Bradford planning department approval for destructive schemes such as Derry Hill and Bingley Road? There may no longer be something rotten in the state of Denmark, but something is certainly smelling unpleasant in the Bradford Planning Department. As with all posts/pages on this blog, any opinions expressed or implied are those of the blog author unless otherwise stated. It should be made clear that the articles about the Parish Planning Committee meeting were written only as a result of proceedings at the meeting and none of the objectors had been spoken to or otherwise communicated with before they were written. THIS SITE IS LOOKING FOR TWO YOUNG ASPIRING JOURNALISTS TO KEEP IT UP TO DATE FOR YOUNG PEOPLE IN MENSTON. IF YOU’RE INTERESTED CLICK HERE FOR FURTHER DETAILS! 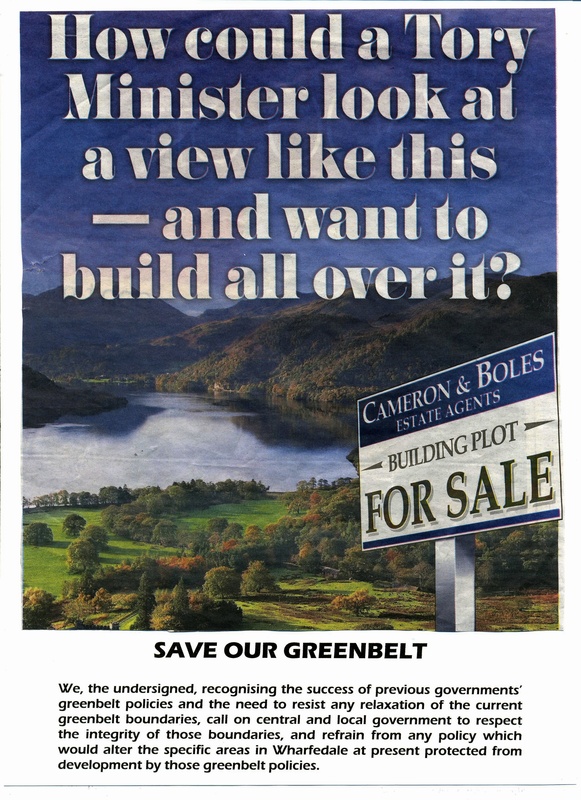 We, the undersigned, recognising the success of previous governments’ greenbelt policies and the need to resist any relaxation of the current greenbelt boundaries, call on central and local government to respect the integrity of those boundaries, and refrain from any policy which would alter the specific areas in Wharfedale at present protected from development by those greenbelt policies. The petition will first be presented to Menston residents in general at the Menston Village Show (14 September), when visitors will be invited to sign the petition, but you will be able to sign it before then at the Otley Car Show on Sunday 8 September. If you would like to volunteer to seek signatures, and get a T-shirt to wear while you are doing it, contact Steve Ellam by email: s.ellams1@btinternet.com. 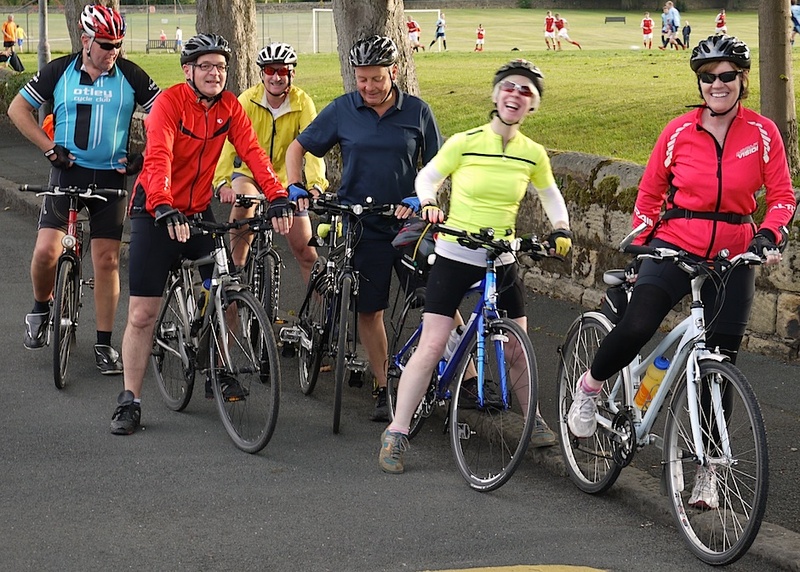 A group of cyclists from Menston, at the moment up to about ten participants, has been meeting every Wednesday, and every other Sunday, for the past eight months, cycling to Otley to join members of Otley Cycle Club for a run. Meeting every Wednesday evening at the junction of Low Hall Road and Leathley Avenue, the mixed Menston cycling group joins Otley Cycling Club every Wednesday evening. The Wednesday run is usually about a couple of hours, often ending with a pint in a local hostelry. However, for newcomers runs can be as short as 5 miles. The group meets on Wednesdays at the mini-roundabout at the junction of Leathley Road and Old Hall Road at 6.40pm. The Sunday meeting, every other week, is at 9.00am at the Buttercross in Otley for a longer run. For more information call either Ann Howe on 0784 148 3610 or Nigel Cawthorne on 0758 210 0555, or just turn up at the meeting point on a Wednesday evening.